Faster Speeds. Increased Reliability. 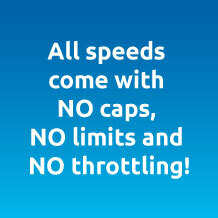 Unlimited Bandwidth. This is the most advanced method on the planet to deliver high-speed Internet. Fiber is a great economic leveler for rural residents. Your home will have the same advanced connectivity as the most high-tech building in any major financial district in the world. Imagine a world where you can stream HD video to as many devices simultaneously as you want to without any buffering. Imagine a world where your Internet service never goes down, and you never have to waste time calling tech support. This perfect connection can be yours with fiber optic cable. The fiber line running to your home from the main cable contains just a few strands of fiber, but those strands could theoretically carry all the information in the Western USA. Fiber-optic cable carries an all-digital signal, and is better suited to today’s digital communication devices. Fiber optics are the future of communications, because both copper and wireless will eventually max out on the bandwidth people will require. Eventually, all media will be delivered as Internet data. You will be ready for that future? The new fiber ONT separates the phone and internet signal, so they will need to travel over separate wires inside your home. We may need to run a new Cat5 cable into your home and install our service to one phone jack and one ethernet jack at a convenient location inside your home, so that you can hook up your phone, and computer or router. 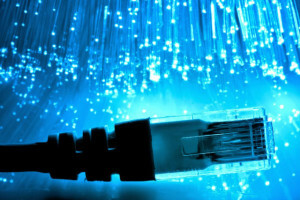 The price of fiber optic cable is now comparable to copper. The real expense with fiber is in the advanced electronics. The ONT (optical network terminal) that fits onto the outside of the home, is very expensive, because it’s a far more sophisticated system than the old copper devices. However, there is less maintenance required on a fiber network than copper, so over the years, it will save us, and our customers, a lot of money. No. 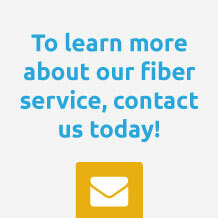 We cover the full cost of the construction of the fiber and installing the new equipment on your home to connect the fiber. We will also waive the final $99 service installation fee when it comes time for you to hook up your computer to our broadband service, with a 1-year commitment. Buried networks are all about Reliability, Reliability, Reliability! You can count on your fiber connection to work, from fire, to blizzard, to windstorm. PMT’s fiber network is 100% buried—no wireless backhauls or downed lines to worry about. Fiber-to-the-Home could increase the value of your home by as much as $5,000, according to the Fiber-to-the-Home Council. Our investment in your home means more money in your pocket. More importantly, fiber to your home means a higher quality of life for you in this digital information age, where so much of what we do to enrich our lives has moved online. More internet speed means more fun. Though we may sometimes be required to dig across your yard to bury a new fiber line, our goal is to treat your property as if it were our own. Often, we will have buried conduit already in place. We will be always strive to promptly restore your property to a condition as close to original as possible. However, homeowners should also understand that your lot came with legal easements registered to each home, for power, water and communications, and anything planted or built over these easements will always be in danger of being disturbed or removed by any public utility companies. Remember to always call Digline at 811 before you dig.